To Host a Community Voice Workshop! Do you like to sing and want to develop a more flexible voice? Do you have a few friends you'd like to share a playful experience with? If so, you can host a Community Voice Workshop in your home, at your work site, or community group space. At the same time, you'll be helping me complete a Portland-based project long-in-the-making. Since 1981 I've been introducing community folks, students, and other musicians to vocal improv games for partners and small groups: Voiceweaving. In 1995 I developed a sequence of Voiceweaving cards (based on the games) for use by the individuals and groups I work with. I've refined these Voiceweaving Cards into a sequence of games that support the development of individual musical skills and collaborative improvisation. I'm now writing an accompanying book. At the end of each session I'll ask participants to engage in a brief discussion and fill out a short questionnaire. Your input will be invaluable as I complete Voiceweaving Elements. This book contains all the exercises in the cards, plus in-depth tips on how to use them, and a bit of philosophy at the heart of the Voiceweaving Form. Scheduled for publication in Fall, 2019. If you would like to HOST one of these Workshops in your home, place of work, or community group space, just fill out the survey form below and I'll get in touch with you to schedule your workshop. •Workshops happen: February through May, 2019. •Workshop Locations: ​Your choice: can be rotated between participant homes. •Workshop Dates/Time: To be determined. ​5-10 people) are $25 per person. 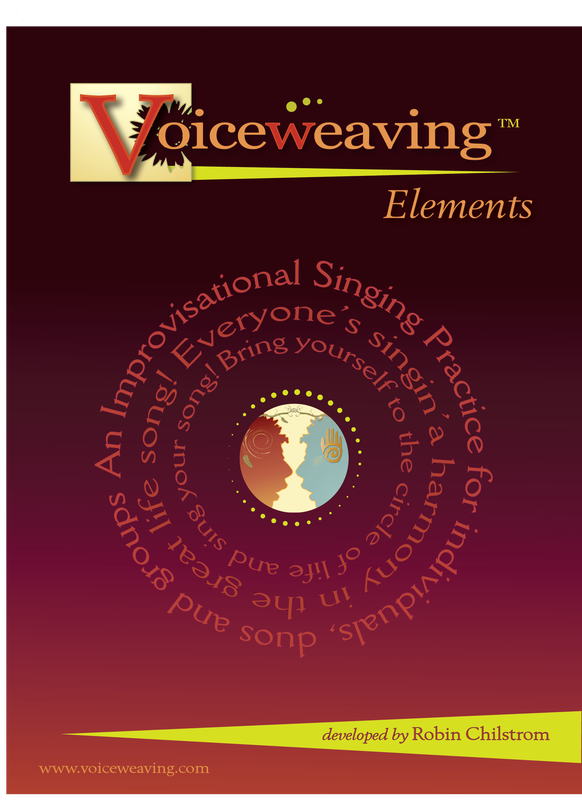 Those who complete the 2-session workshop will be able to buy the Voiceweaving Elements book at a deep discount. ​I'd ​love to sing with you and hope you'll join me. To do that, just fill out the form below and send it on. Many Thanks!